Buy De Wit children's planting trowel: <ul><strong><li>Junior replica of De Wit’s premium-quality adult trowel</li><li>Forged carbon steel with a solid ash handle</li><li>Lifetime guarantee</li></strong></ul><br>There's no better way to get kids interested in gardening than with proper tools of their own. 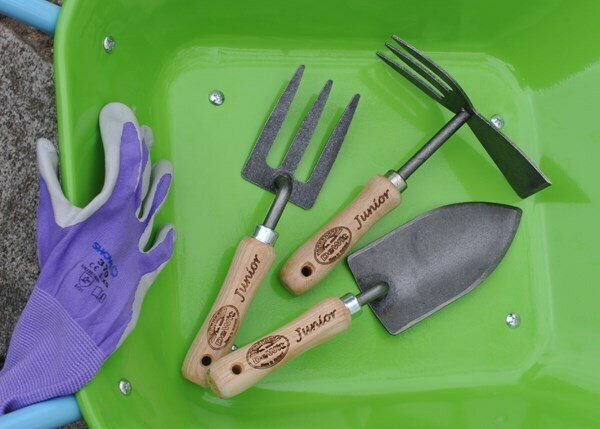 This beautifully crafted De Wit junior planting trowel is a fully functioning replica of the adult version, perfectly proportioned for smaller hands.<br><br>Forged from strong carbon steel in the traditional way, the trowel is shaped with a pointed end to help little hands get stuck into even heavy soil.<br><br>Due to its sharpness and strength, the trowel should not be regarded as a toy and MUST be used with adult supervision.<br><br>The trowel is fitted with a smooth, chunky ash handle for secure, comfortable handling. Suitable for children 8 years and above. <br><br>Measurements:<br>Head W5cm x L13cm<br>Total length 25cm<br><br>Please note: only the trowel is supplied. The other tools in the photograph are available to purchase separately.<br><br><strong>About De Wit tools</strong><br><br>The Dutch are renowned for making the world’s finest garden tools, and De Wit is the most respected name of all. Founded in 1898, the family-owned toolmaker combines old-fashioned quality and craftsmanship with innovative design to create superior tools that last a lifetime.<br><br>Every tool is hand-forged in the Netherlands from tough boron steel - shaped, sharpened and burnished for durability, giving it the same blackened patina as traditional Edwardian tools. Each is fitted with an FSC-certified solid ash handle for ultimate strength and shock resistance, oiled to provide first-class protection against the elements.<br><br>All De Wit tools come with a lifetime guarantee against manufacturing defects, making them a truly once in a lifetime purchase. There's no better way to get kids interested in gardening than with proper tools of their own. This beautifully crafted De Wit junior planting trowel is a fully functioning replica of the adult version, perfectly proportioned for smaller hands. 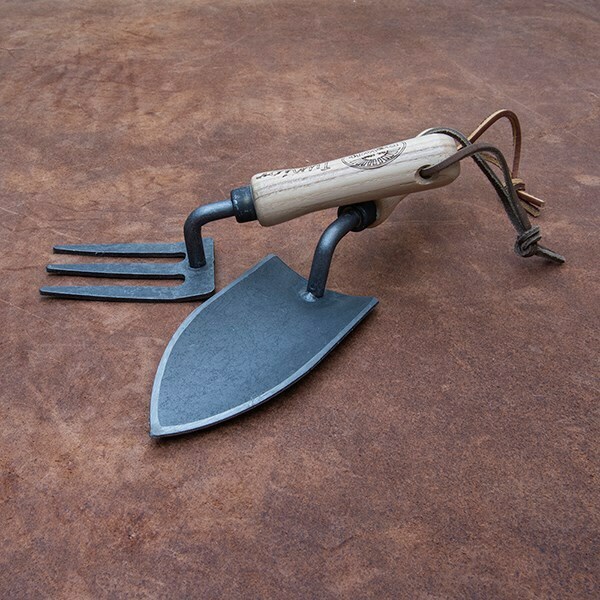 Forged from strong carbon steel in the traditional way, the trowel is shaped with a pointed end to help little hands get stuck into even heavy soil. Due to its sharpness and strength, the trowel should not be regarded as a toy and MUST be used with adult supervision. The trowel is fitted with a smooth, chunky ash handle for secure, comfortable handling. Suitable for children 8 years and above. Please note: only the trowel is supplied. The other tools in the photograph are available to purchase separately.